Decampees from the ruling APC were given a nice treat by the main opposition party PDP as they organised a pricey dinner to welcome them. 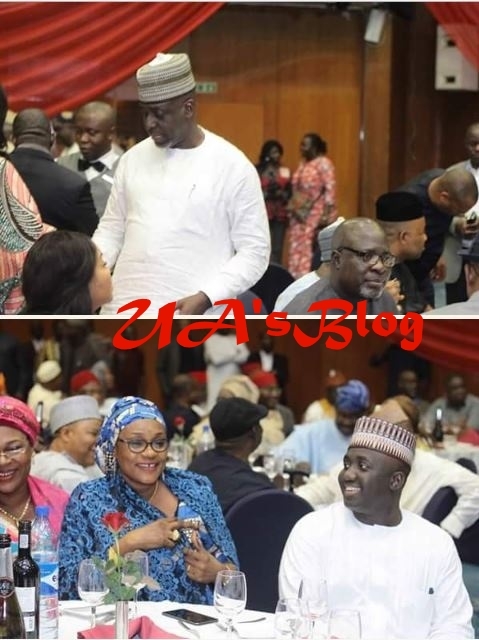 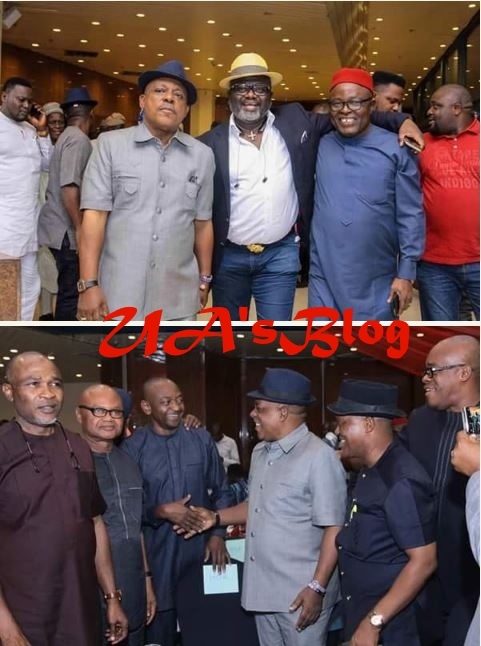 Senator Dino Melaye and other aggrieved members of the All Progressives Congress were welcomed in style by their Peoples Democratic Party counterparts. 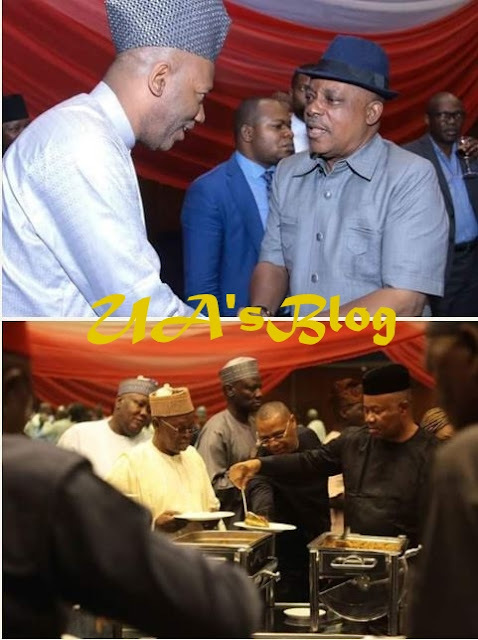 Some political figures were pictured scooping rice and chicken from arranged pots amid smiles and discussions with old colleagues. 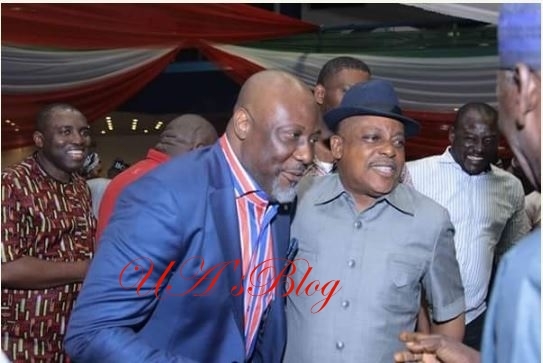 Uche Secondus, national chairman of the Peoples Democratic Party (PDP), spoke with the decampees who were all smiles at the event. He said a military government is better than the current administration. 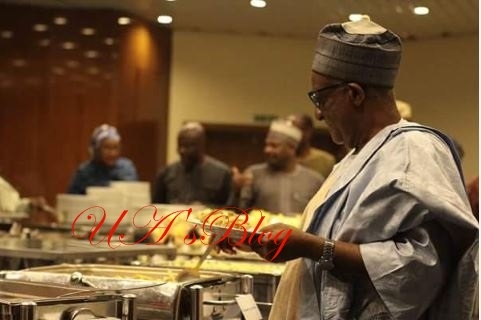 Senate President Bukola Saraki and Aminu Tambuwal, governor of Sokoto, are the latest notable politicians to defect to the PDP. 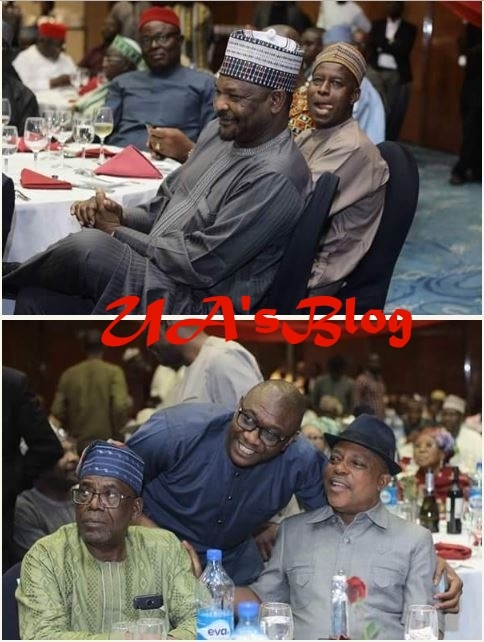 Last week, some members of the national assembly dumped the APC for the PDP. 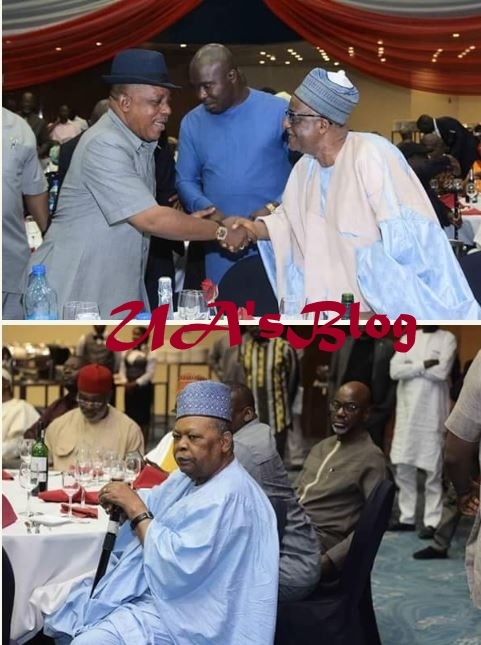 Secondus said those who left APC could not watch the country slide into crisis.